When you need additional CPU capability or your network has a sustained spike and you need more computational capacity, Quasar’s on-demand services will provide the additional infrastructure you need to complete your processing on time. Quasar can provide Private Clouds, Virtualized Environments, Linux Clusters consisting of thousands of CPUs or Dedicated Managed Servers on an as-needed basis. 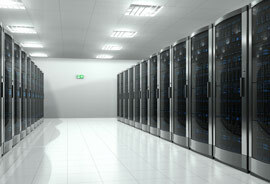 Our highly tuned computer clusters and high speed processors provide efficient, effective computing power used to run complex applications to solve large problems. These on-demand services are ideal for Research Labs, Government Agencies, Universities, Software Developers, Chemical and Energy Companies, and Financial Institutions.